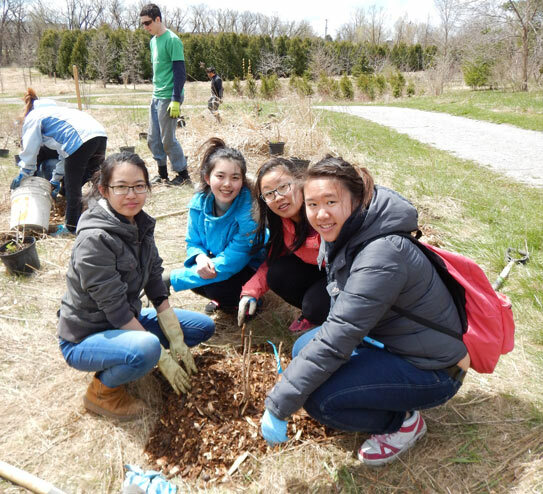 With the support of the Ontario Trillium Foundation, Evergreen and the Centre for Information and Community Services (CICS) have collaborated for the past two years on an environmental leadership program for newcomer youth in York Region. Since October 2012, the Youth EcoAmbassadors Program has focused on social integration and inclusion through leadership and greening initiatives for youth between 14–18 years old. 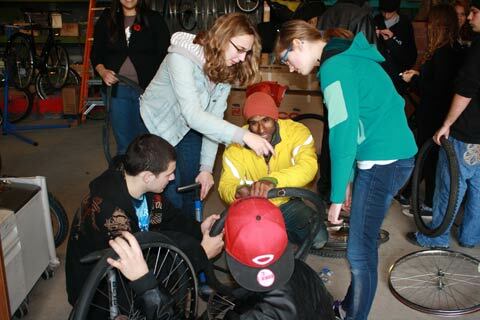 This eight-week program offered a range of learning opportunities that empowered individuals to take an active role in addressing local environmental and social issues within their communities. At the end of each session, the youth were able to confidently lead their friends in community greening events! We engaged over 100 youth through this program, many of which continue to attend our community planting and stewardship events. 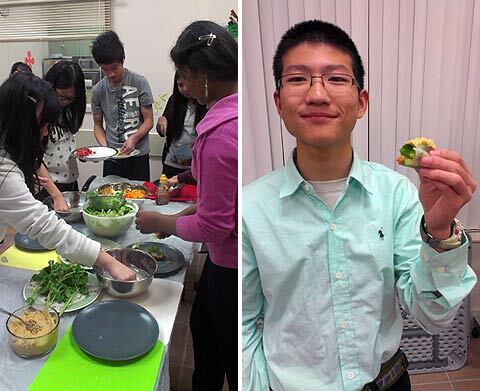 L: Youth preparing fresh spring rolls using local ingredients and sprouts they grew themselves in October 2012. This dynamic duo has a strong passion for preserving our local ecosystems, and want to protect them from urban sprawl. These three ladies are all graduates of our EcoAmbassadors program and express a strong interest in local food systems. They all enjoy cooking using locally-sourced ingredients and growing their own food. This trio recognize that automotive traffic congestion in their community is a big issue. They want to promote more walking, cycling, carpooling and transit within the city. These three want to raise more awareness about the type of energy we use and how using renewable energy is more sustainable than our number one energy source. Featuring guest speakers, hands-on activities, display booths, fantastic food and breakout brainstorming sessions, the Forum is designed to further inspire youth to become active ambassadors in their communities. Participants will also have the opportunity to network with other youth and organizations in York Region. By encouraging youth to critically critique the sustainability of their city we hope to inspire action and a sense of empowerment. Register today to join the conversation and share your vision for the future of green cities.